Before you spend money on purchasing the different weight loss supplements, you need to find out about the different vitamins that can assist you in weight loss. If you want to take supplements to work on your body and you can reach your desired goal, you should know how each one is used by the body during weight loss process. Vitamins and Minerals are micronutrients that are present in small amounts in the body. Even though one does not need them in a significant amount, any lack of them can lead to serious health issues. These micronutrients act differently and support different processes. Each of them can work as a catalyst and speed up different processes in the body. 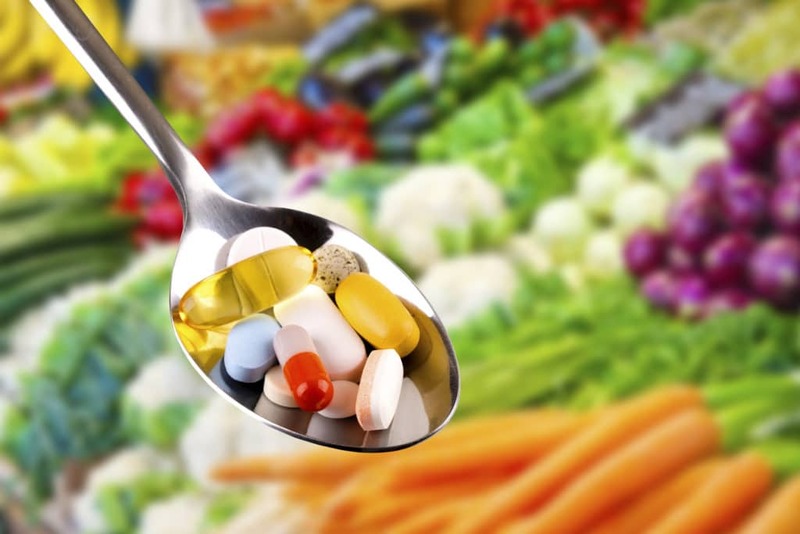 Vitamins are organic substances and can be found in plants and animals. Minerals are inorganic compounds that can found in the soil and are either eaten by animals or absorbed by the plants. When a person is not able to get these in the right quantity, they have to suffer from health problems. Thus, many people take these in supplements form that helps manage the right quantity of these substances in the body so that they can aid in weight loss. How the Body Use Vitamins and Minerals During Weight Loss? Not having enough vitamins and minerals in your body can make it difficult for you to lose weight. Your body needs certain nutrients that will switch on the enzymes that will trigger the breaking down of the body fat that results in weight loss. If your body has an excess amount of fat, it needs to be broken down, and it is the enzymes present in the body that are responsible for the process. The fat in your body breaks down stepwise, and each of these steps will need a different active enzyme to allow the molecules to work on the body fat. In most of these cases, it is the vitamins in the body that will activate this enzyme so that the body fat can be broken down and use to give energy to the body. If the level of vitamins and other minerals in your body is extremely low, the enzyme won’t be activated, and you will not lose any weight. Many people believe that it is the vitamins in the body that give energy to the body. But, the truth is that vitamins are essential to activate the enzyme that results in breaking down of fat and providing the body with an energy source. If your body does not have the necessary vitamins, you will see that your scale is not moving as fast as you had expected no matter how healthy you might be eating. Vitamin D – It is also called the ‘Sunshine Hormone’. The body absorbs the sun rays into this hormone which response to insulin. It is the insulin that is necessary for the proper metabolism of the body by filling the cells with glucose. The higher the cells are responded by insulin, your body will convert more calories into energy, and you will lose body fat. Vitamin D also activates the hormone ‘Leptin’ in the brain that tells the body to stop eating since you are full. If your body is low on Vitamin D, your body will not tell you when you are full, and you will continue to eat. Vitamin D will work with calcium to help your body to absorb necessary minerals. Vitamin B12 – Vitamin B12 helps your body to convert food into energy. When you have more energy, you will want to work out more and end up losing more weight. Vitamin B12 also helps your body to maintain an appropriate amount of iron levels. Vitamin B5 – It is also called Panthothenic Acid and allows the body to properly use proteins, carbohydrates, and lipids that are important for the metabolic process. It keeps the nervous system in proper condition and allows injuries to heal properly. It also helps the body to decrease the bad cholesterol in the body and helps convert sun rays into Vitamin D.
Vitamin C – It keeps the metabolism of the body at high levels and coverts the glucose in the body into energy. It also works as an antioxidant that prevents the free-radicals from damaging the body. This vitamin is also used by the body to repair any tissue damage, repair cell damage and reduce stress. Apart from the vitamins above, the body also needs minerals to help carry out the different role that aids in weight loss. There are certain minerals such as chromium, copper, and iron that help the body to break the nutrients into energy. Iron and copper are important for the body as they are used by the cells to convert the food you are eating into energy. Having enough of these minerals in the body will help in speeding up the fat burning process of the body. Chromium is another important mineral that is found in many different weight loss supplements. It helps improve the insulin processes in the body and also breaks down the fat and protein. There is another mineral called magnesium that can help you lose pounds by helping you digest food properly and also helps you build muscles. Vitamins and minerals are important for the body as they carry out many different roles in the body that ultimately helps in weight loss. Collectively, they are used by the body to convert food into energy and also enhance mental performance. Some increases the metabolism rate, reduce your appetite and also increase the use of energy in the body.